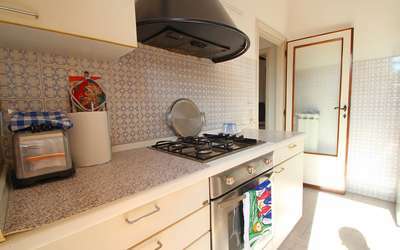 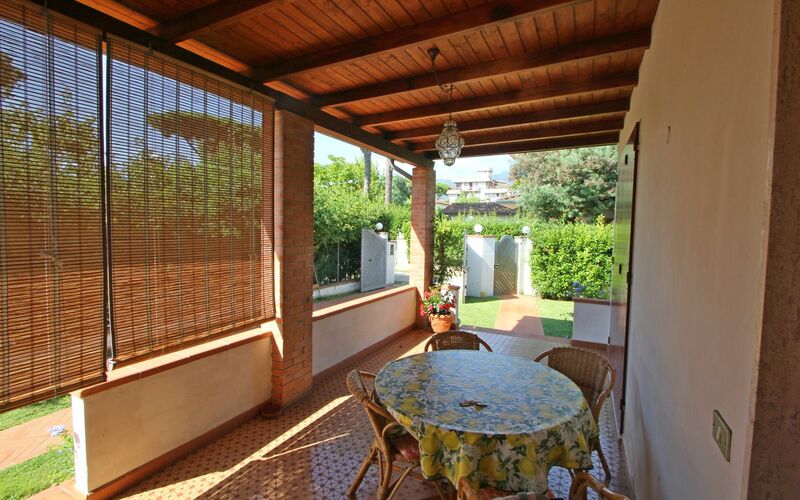 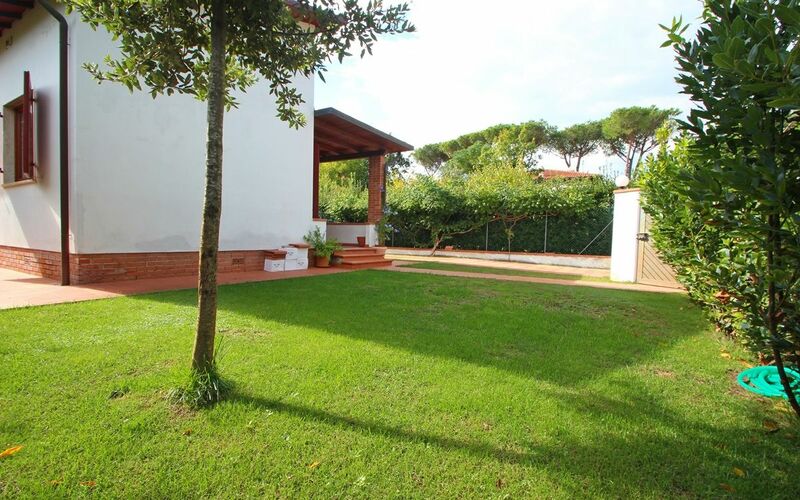 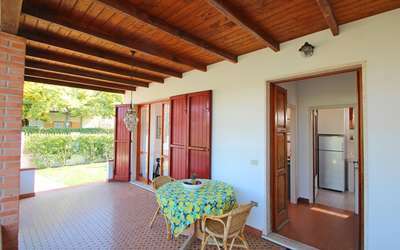 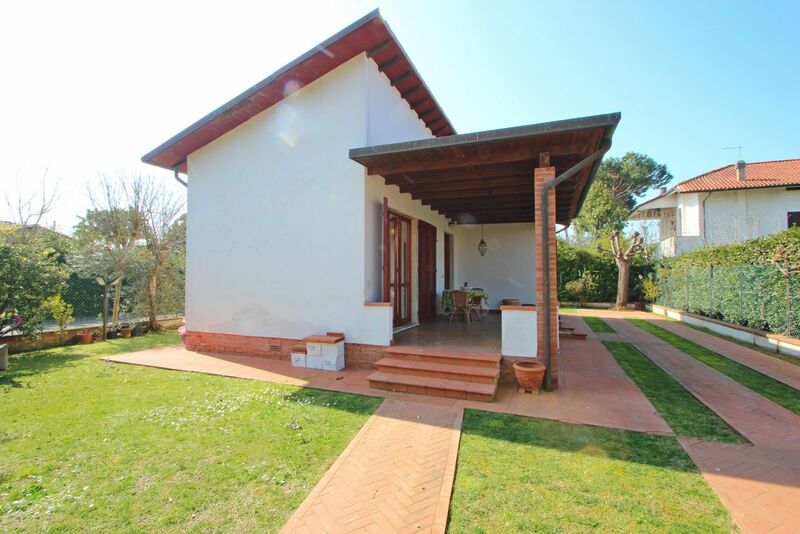 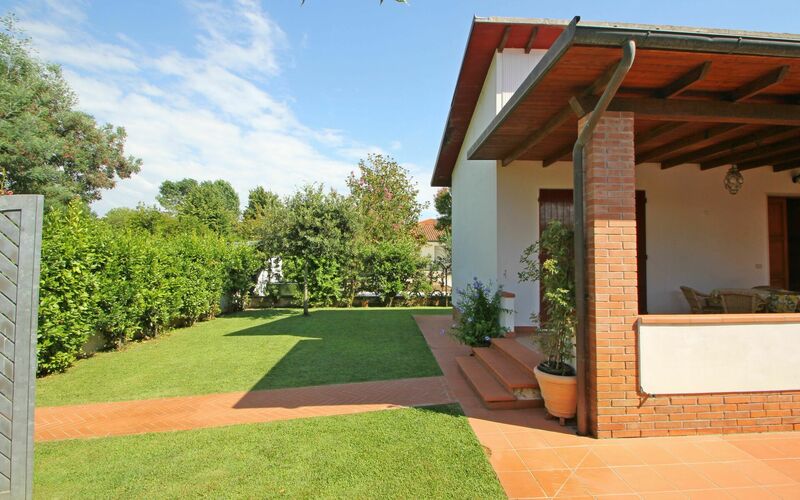 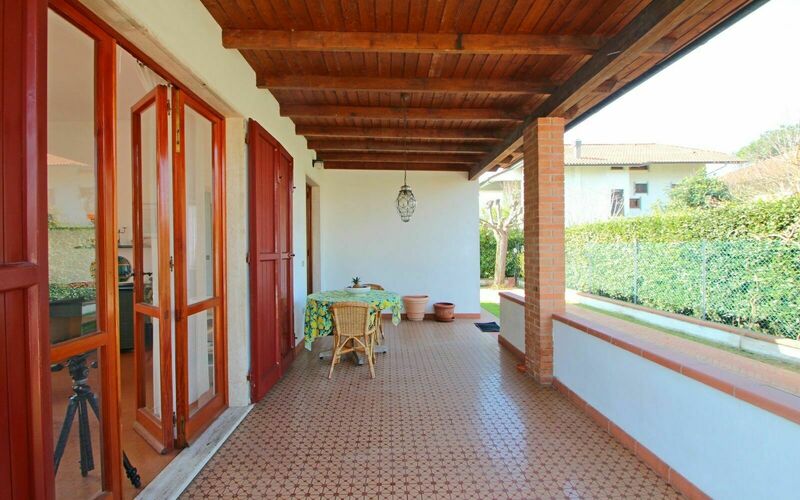 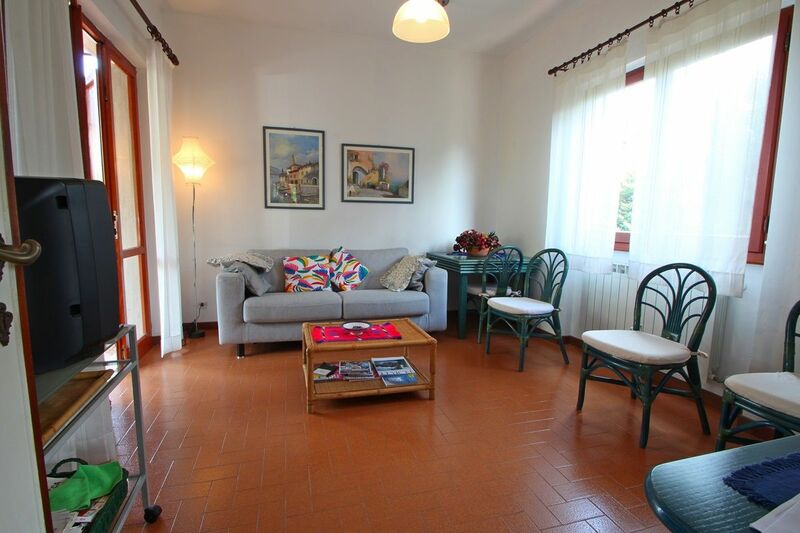 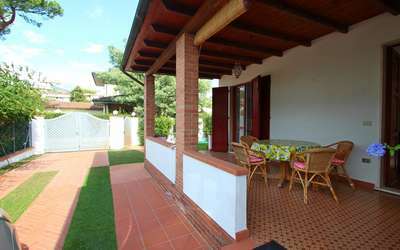 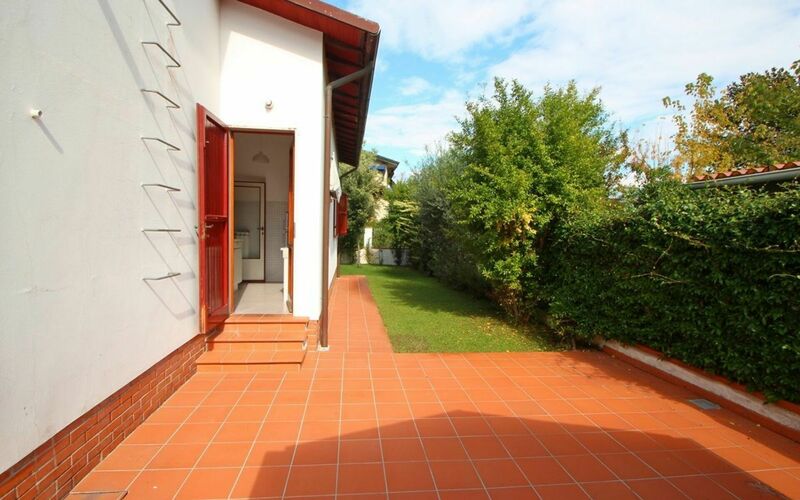 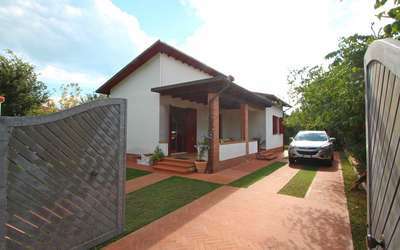 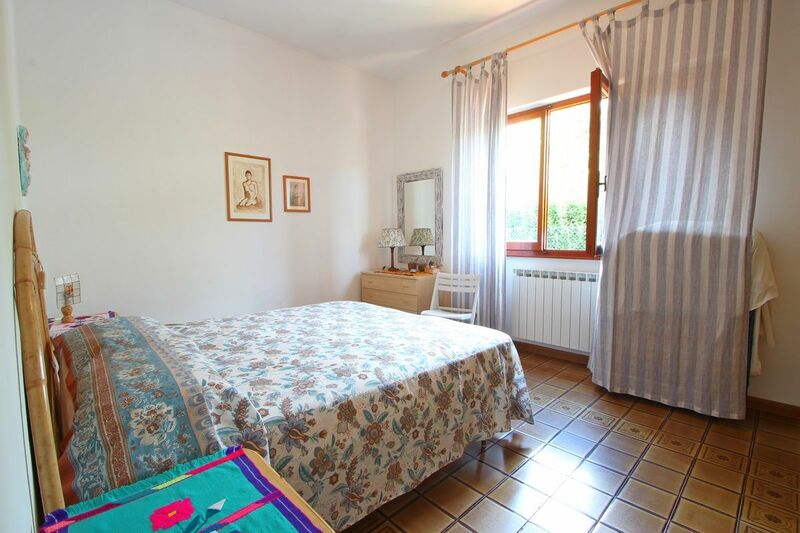 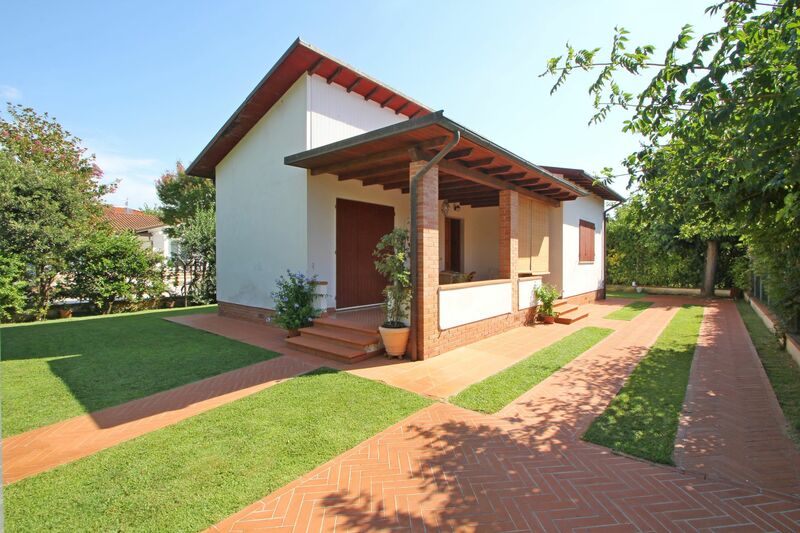 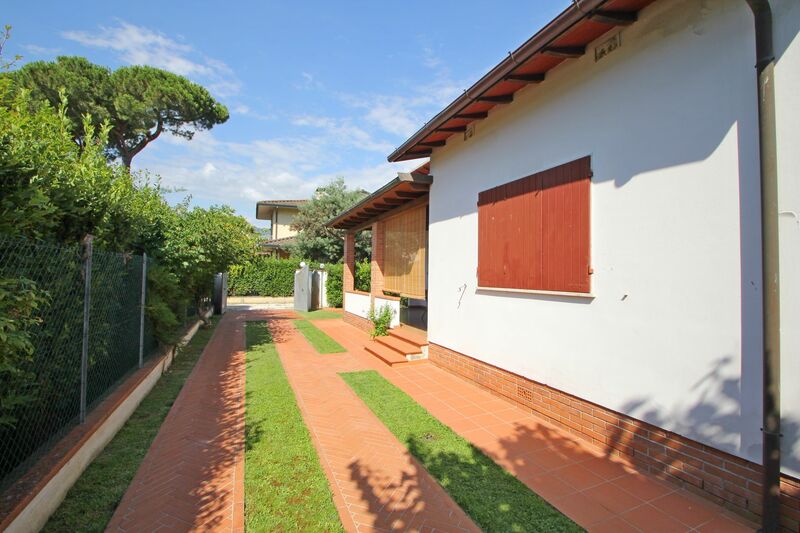 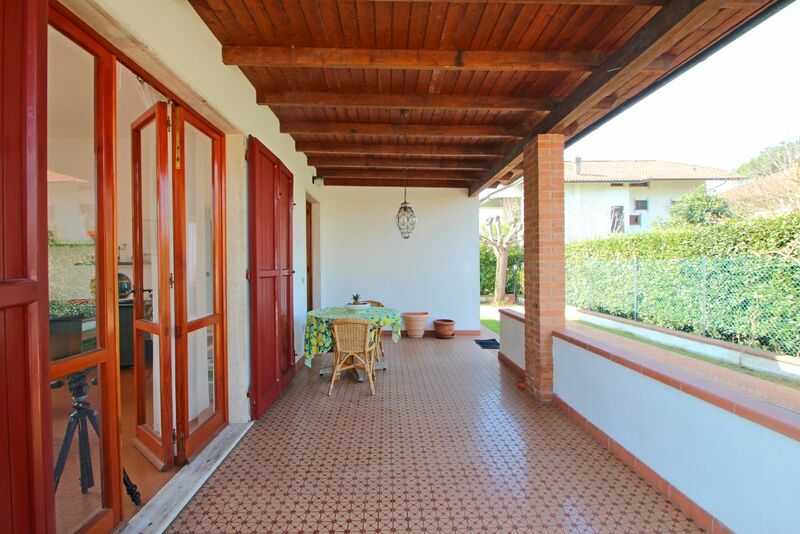 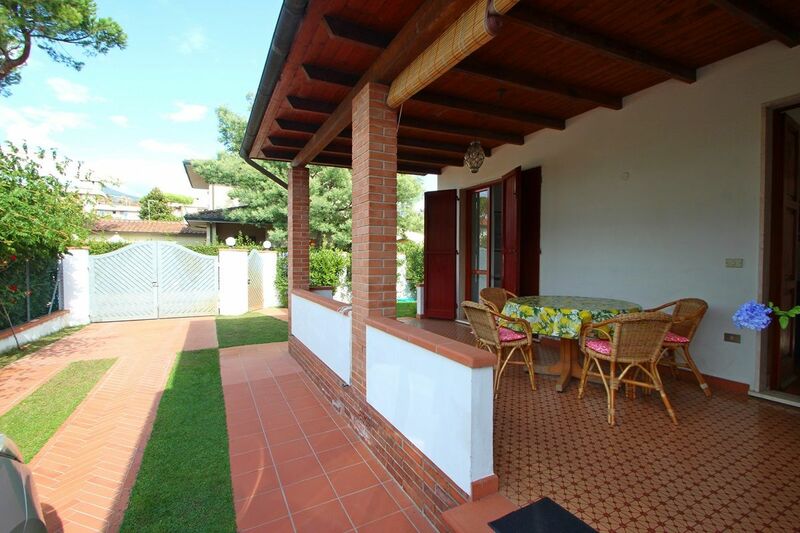 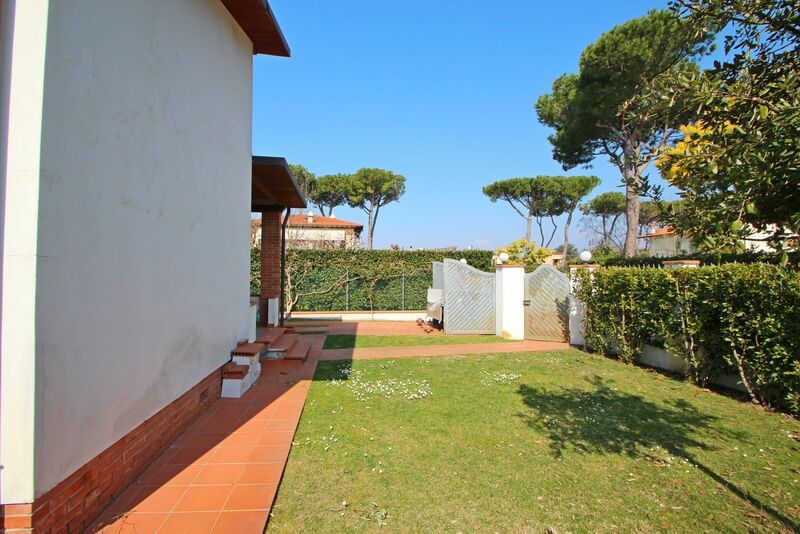 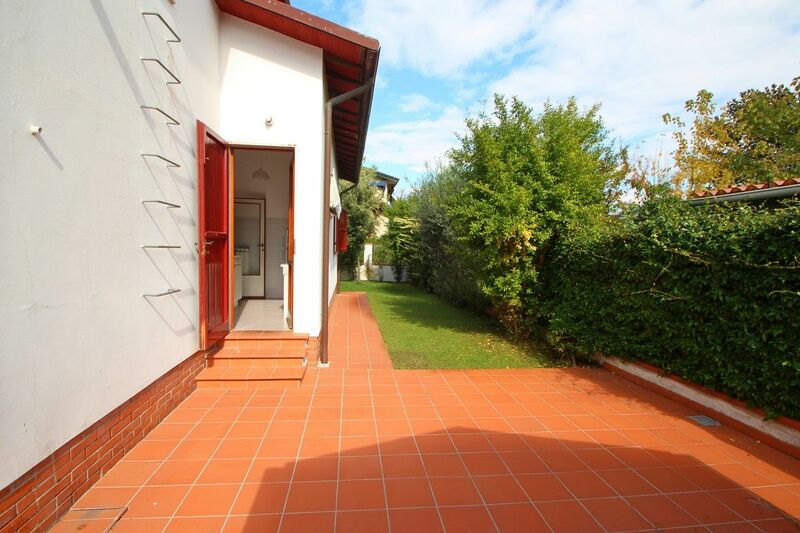 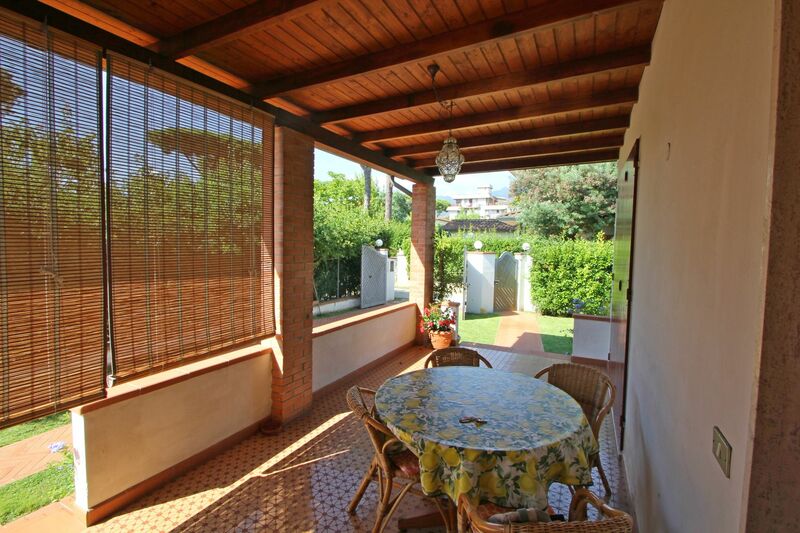 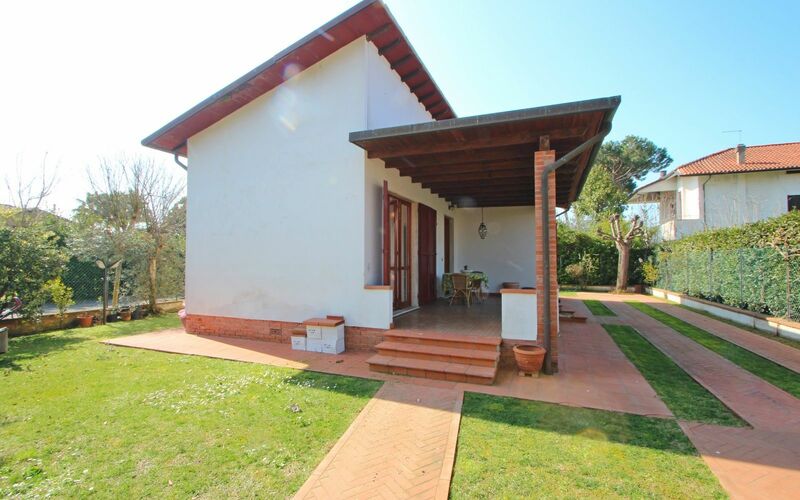 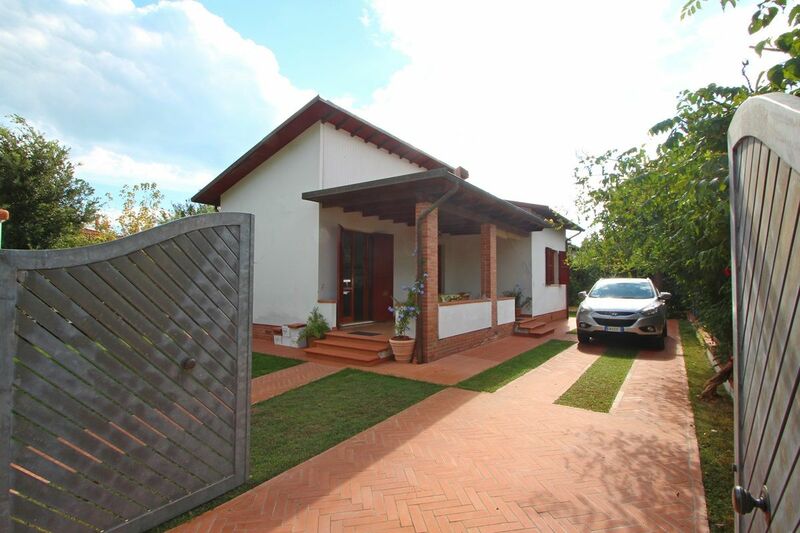 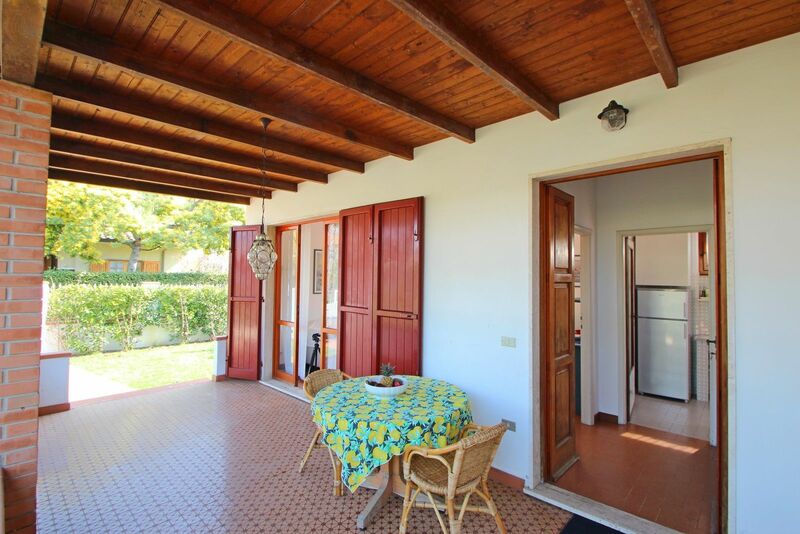 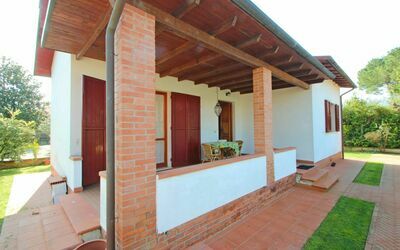 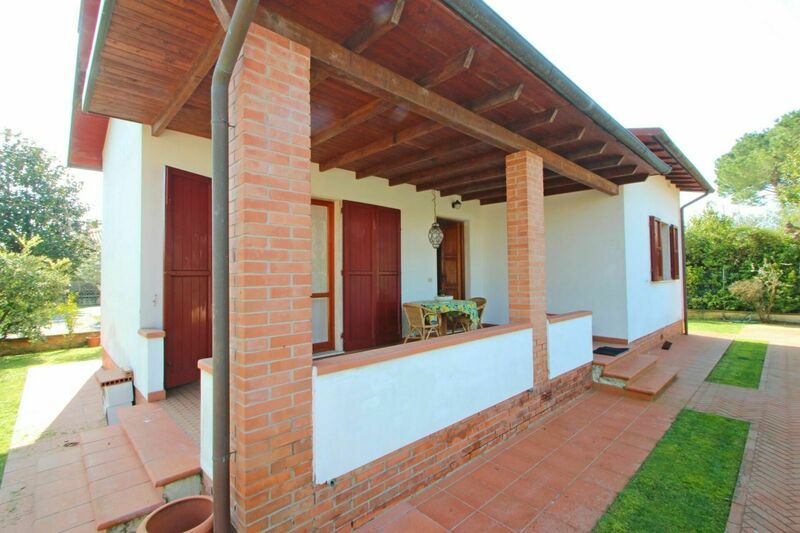 Holiday home for 4 Persons in Forte dei Marmi in prestigious area, quiet and just 900 meters from the sea. 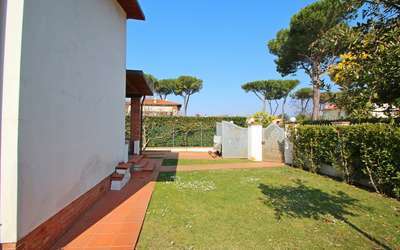 It is located in Vittoria Apuana of Forte dei Marmi, in a side street but near the main road that leads directly to the beach. 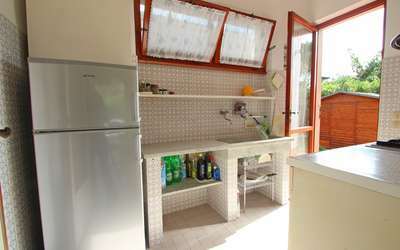 Nearby there is a grocery store and a bar. At about 1km each summer for children but also for adults, there is the luna park. 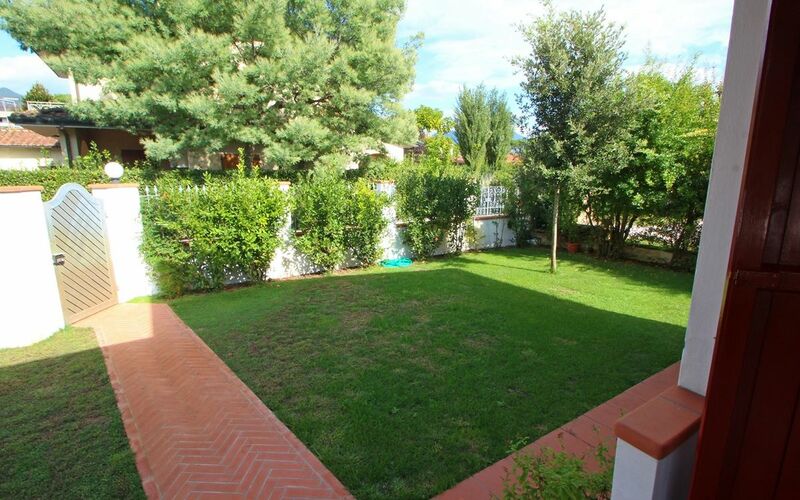 The house is completely fenced, it has a small garden for the guests to relax and make a barbecue. There are two parking spaces passing through the entrance gate (manual). 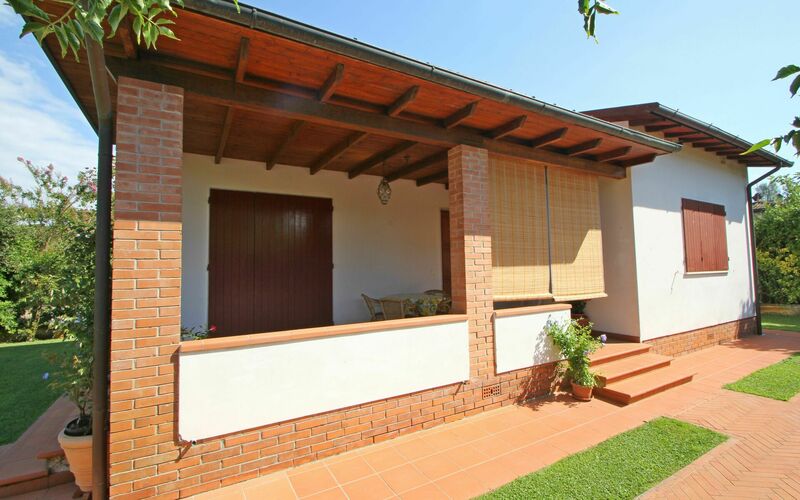 On the front of the house there is a covered porch with a table and chairs. Various plants surround the house giving various points of shade during the day. Guests have at their disposal 3 bicycles and WIFI internet. - Bright living room with TV and sofa bed for two people. 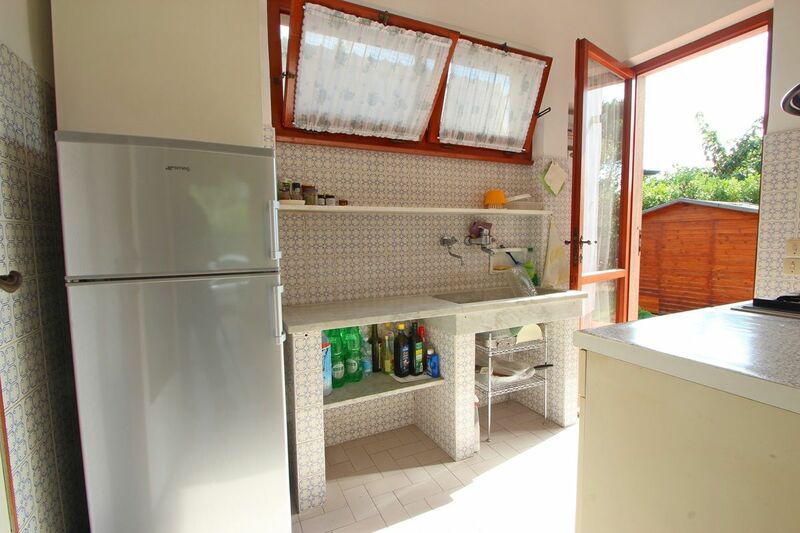 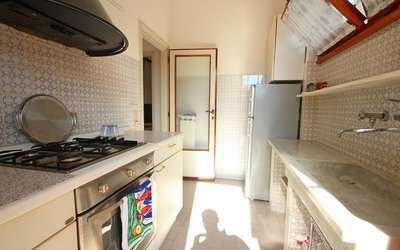 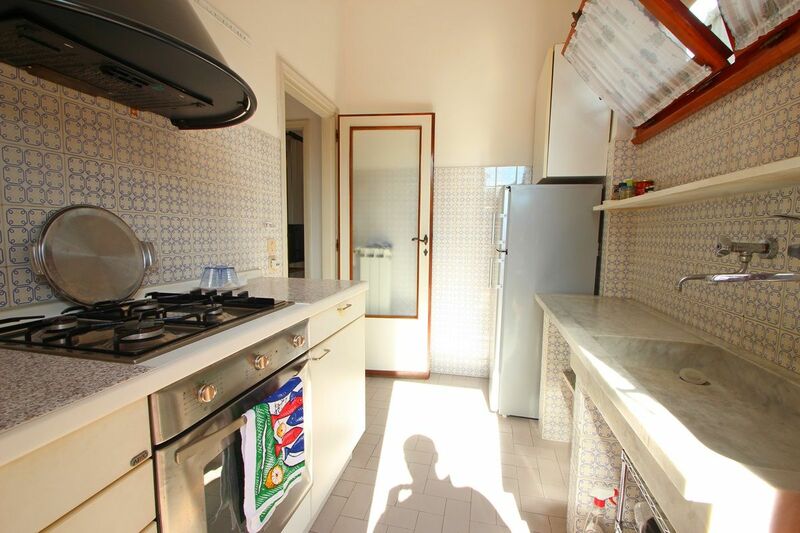 - Kitchen with refrigerator/freezer, 4-burner stove, hood and oven. 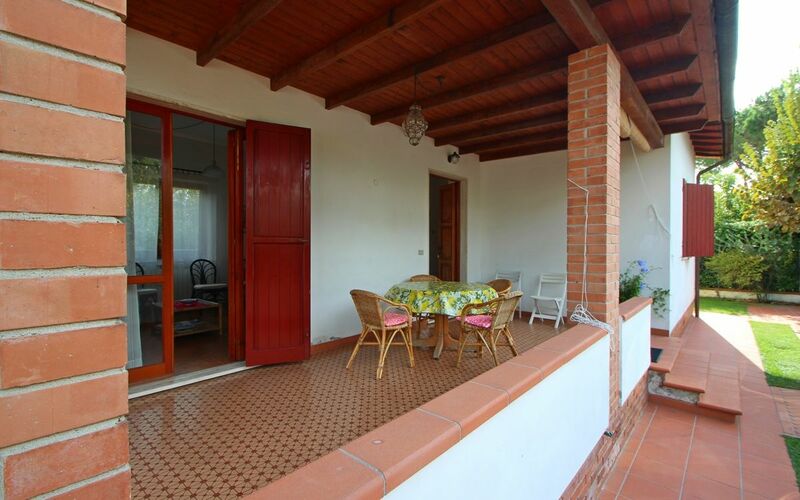 Door leading to the back garden. 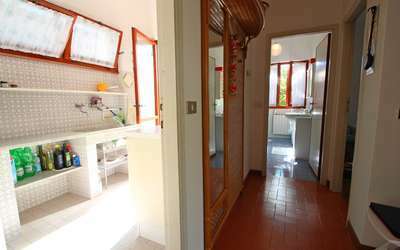 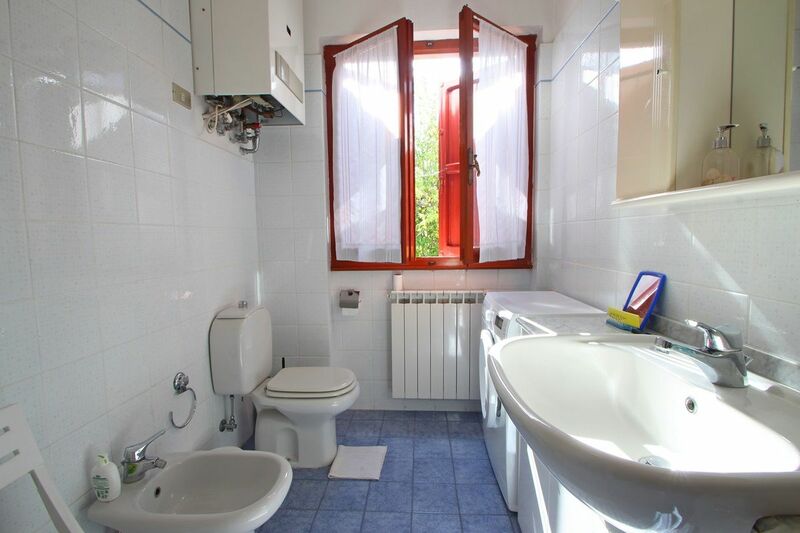 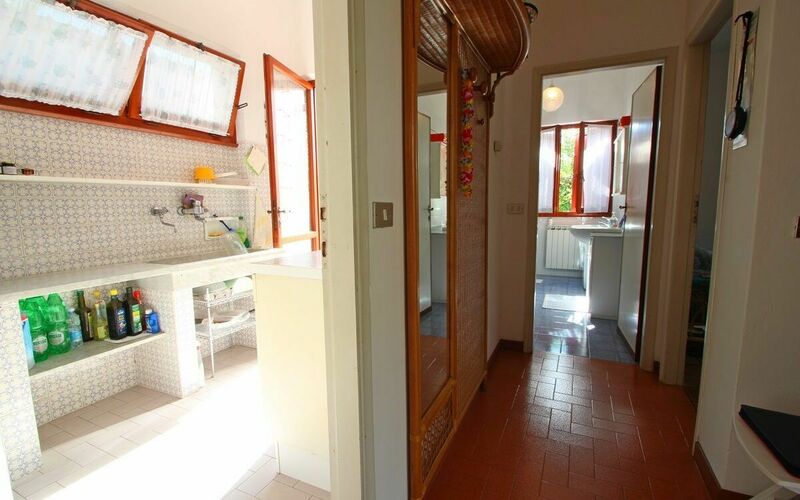 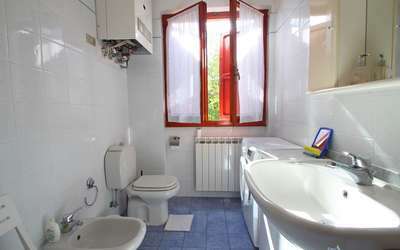 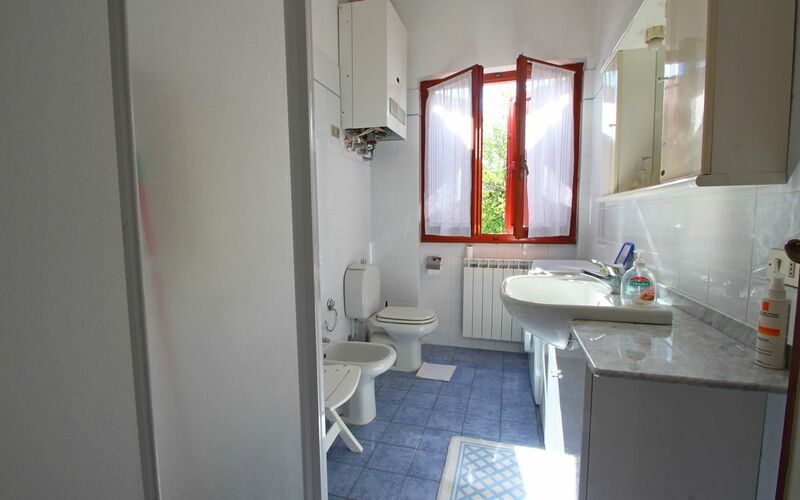 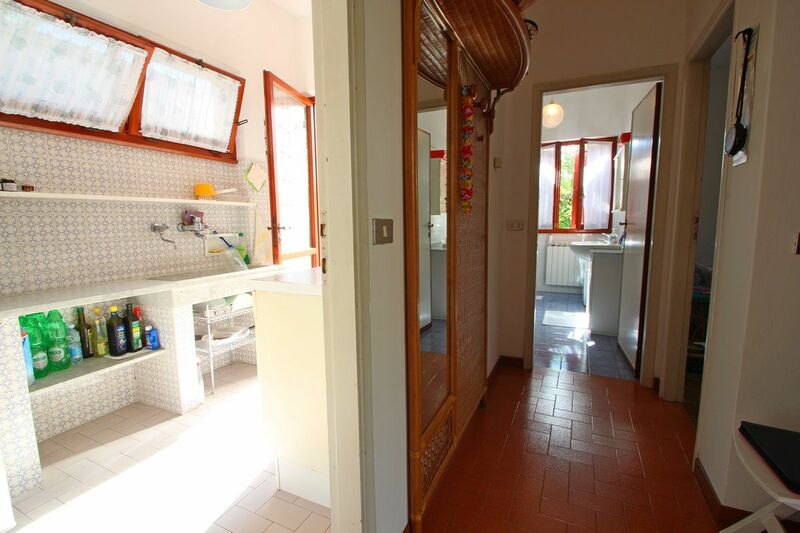 - Bathroom with shower, bidet, toilet and washing machine. 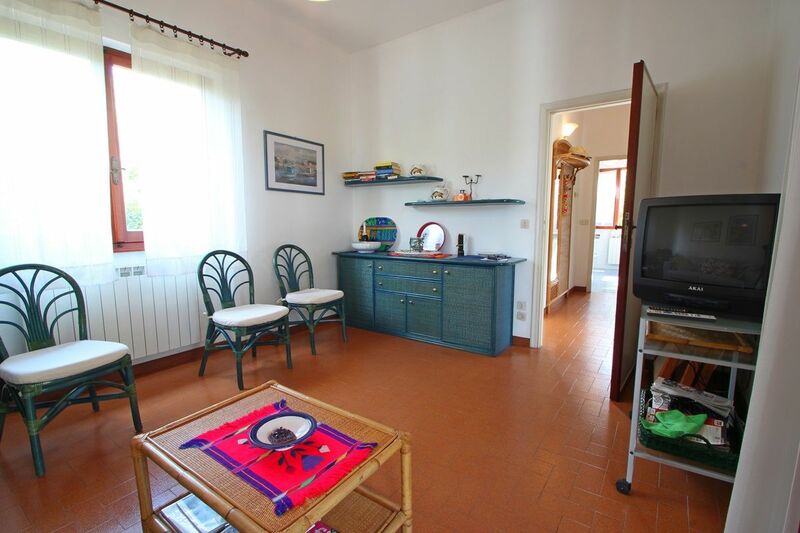 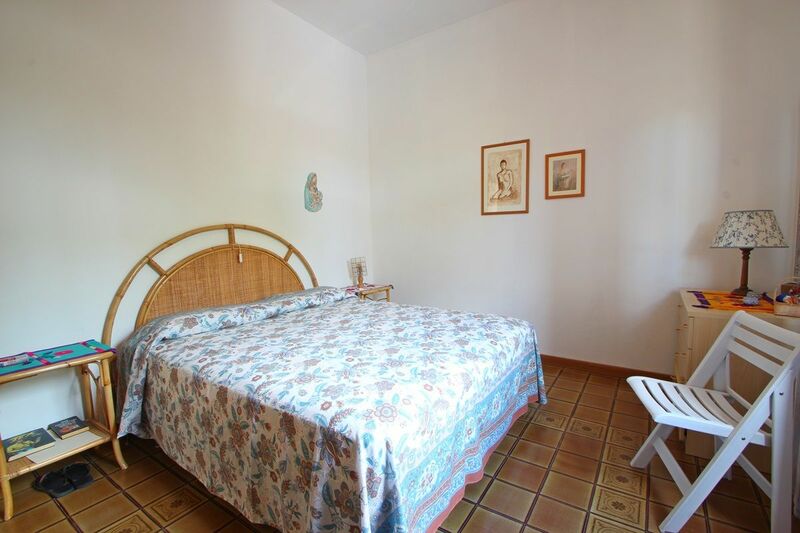 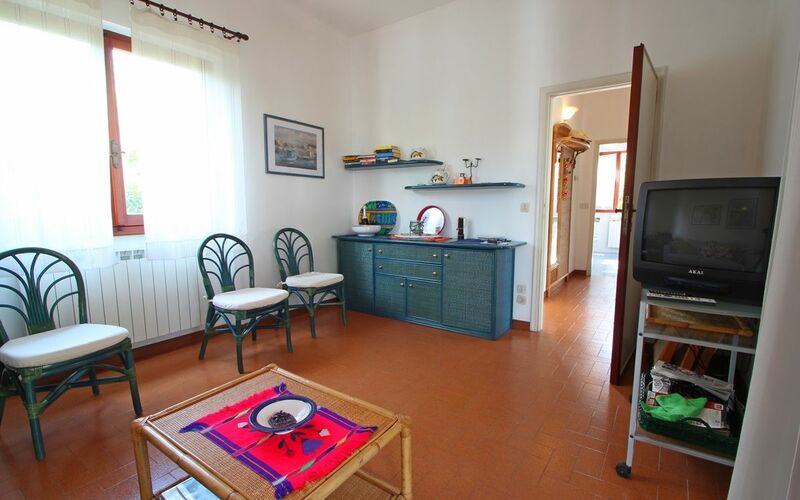 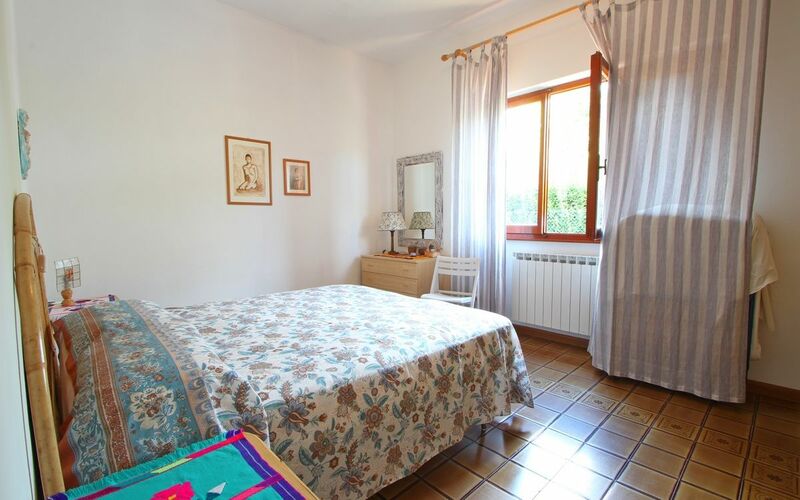 Casa Marcello is furnished in a simple but functional way.